Introducing the world’s most advanced natural filter, alkalizer, and hydrogen system. If you wanted to create the world’s cleanest, healthiest water where would you start? 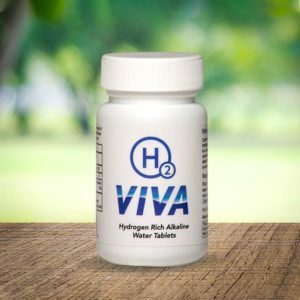 The performance enhancement aspects of hydrogen rich water have been proven and over 400 scientific studies show the beneficial effects for a broad range of health conditions. The UltraStream is the first water ionizer laboratory tested to infuse massive amounts of beneficial H2. The UltraStream has 8 layers of filtration and energizing media to ensure the cleanest most vital water that your body can benefit from. UltraStream removes more harmful contaminants than ionizers ten times the price including bacteria, pesticides, heavy metals and fluoride and chlorine. Not only does it removes these harmful chemicals but it puts in beneficial hydrogen gas, magnesium, calcium and ph balancing alkalinity. The UltraStream has no transformer, internal plumbing, flow sensors, diodes or any other electronic parts so that it is completely maintenance free. Every time you install a new filter you virtually get a new water alkalizer and H2 system. The UltraStream is sleek and elegant to fit any style kitchen and simple to install. The freestanding model is easy to transport for holiday travel, campers and cottage. 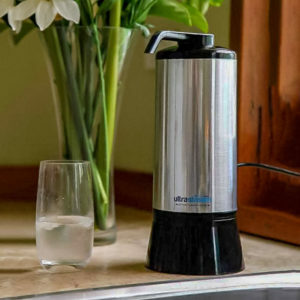 The UltraStream infuses four times the H2 of a $4000 electric water ionizer. That makes it the most economical system on the market delivering water at about 10 cents per litre compared to $2 per litre for bottled water. Drinking clean, mineralized water is not only good for your health, it tastes great! The UltraStream works exactly like nature to filter, alkalise and naturally energize water returning it to its most natural state. With water this delicious you’ll want to drink more water, more often. Click to view the comprehensive UltraStream independent test results for the filter system. It presents an impressive set of results, if you want to hydrogen-rich water, that’s free of contaminants, look at the report for proof of the quality. ‘Life of filter’ independent University Tested for all major contaminants. pH and ORP tested for life of filter. European material Safety Tested – the only water ionizer in the world with certification. Hydrogen output testing by AquaSciences LLC showing better hydrogen output at normal use rates than electric water ionizers almost ten times the price. All filtration media NSF approved. Body of NSF approved BPA-free food grade polypropylene. US factory inspected annually by NSF and WQA for uniform quality control. Click to view the comprehensive UltraStream independent test results for the filter system. 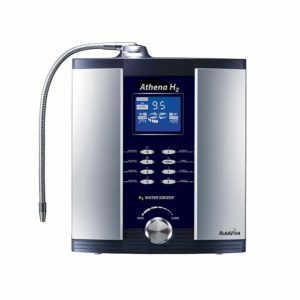 It presents an impressive set of results if you want hydrogen-rich water that’s free of contaminants. Look at the report for proof of the quality. Extreme filtration using the best media available in the world. US made Spartan catalytic carbon KDF patented heavy metal media. Fluoride reduction up to 70%. Lasts up to 12 months. Over 400 scientific studies validate health benefits from infused hydrogen. Eliminate free radicals (that oxidize and age our bodies), while helping support immunity. Molecular hydrogen in the next big thing in health, wellness, fitness, and performance. With impurities removed and nutrients added, UltraStream water tastes so delicious, you’ll drink more water without even trying! Tested independently to demonstrate high saturation levels of molecular hydrogen, the ‘secret ingredient’ to ionized water that is a powerful, primal antioxidant. 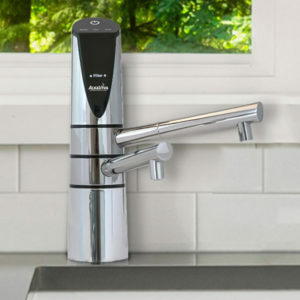 Ionizes equal to electric water ionizers thousands of dollars more. Gives consistent negative ORP over the life of the filter in the range of -350mV. Adds slow release calcium, magnesium, and trace minerals. Gives alkaline pH in the beneficial range of 8 – 10 over the life of the filter. Watch the video below to see exactly how quick and easy it is to install the UltraStream. NOTE 2: THE ULTRASTREAM IS DESIGNED FOR MUNICIPAL (TOWN) WATER SOURCES. IF YOU ARE CONTEMPLATING USING THE ULTRASTREAM WITH WELL WATER, PLEASE CONTACT US. WE ALWAYS RECOMMEND THAT YOU HAVE A TEST PERFORMED FOR NON-MUNICIPAL WATER FIRST SO WE CAN HELP YOU BEST.